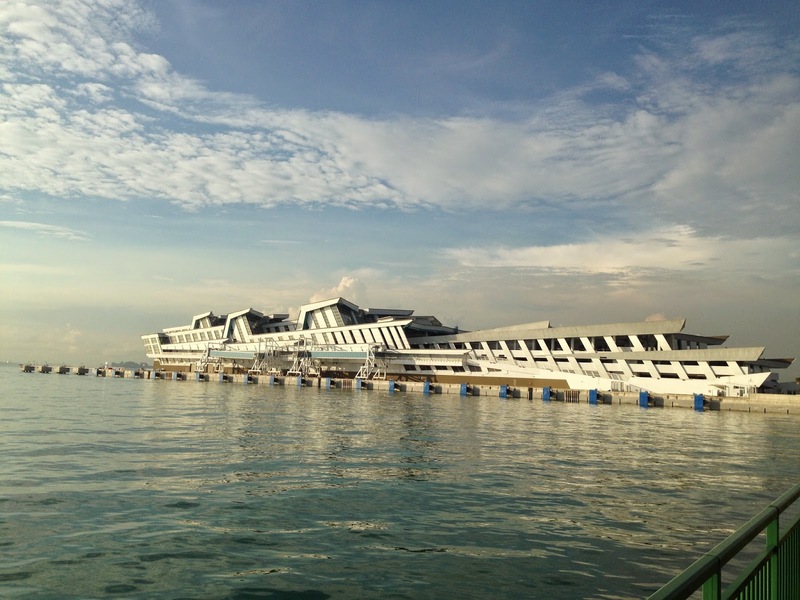 Marina Bay Cruise Center – The Noah Ark of Singapore | JustRunLah! 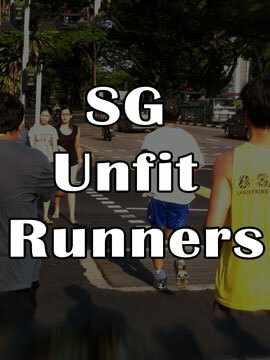 Sg Unfit Runners have explored many places in Singapore but there is this infamous place at the Southern tip of the island which we haven’t explored yet. And what is it infamous for? 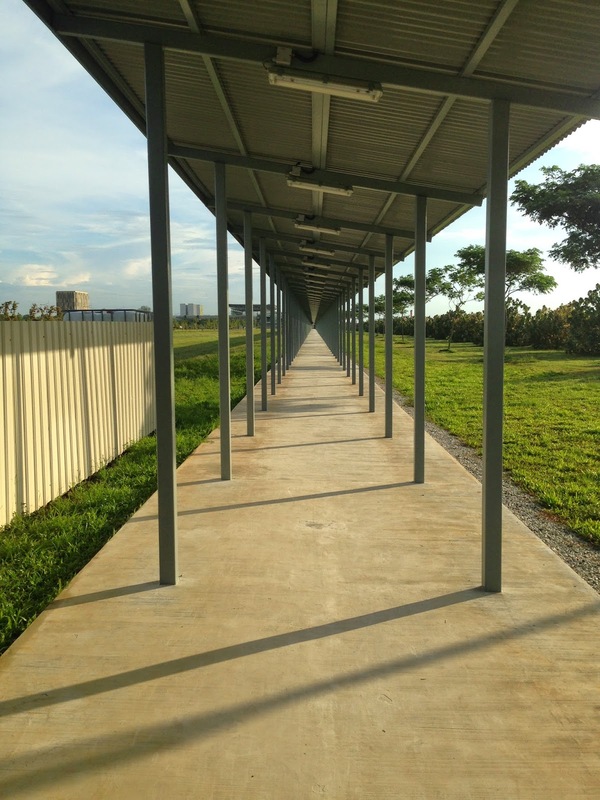 It’s infamous for its 600m walkway from the newly opened Marina South Pier MRT station to the Marina Bay Cruise Center. 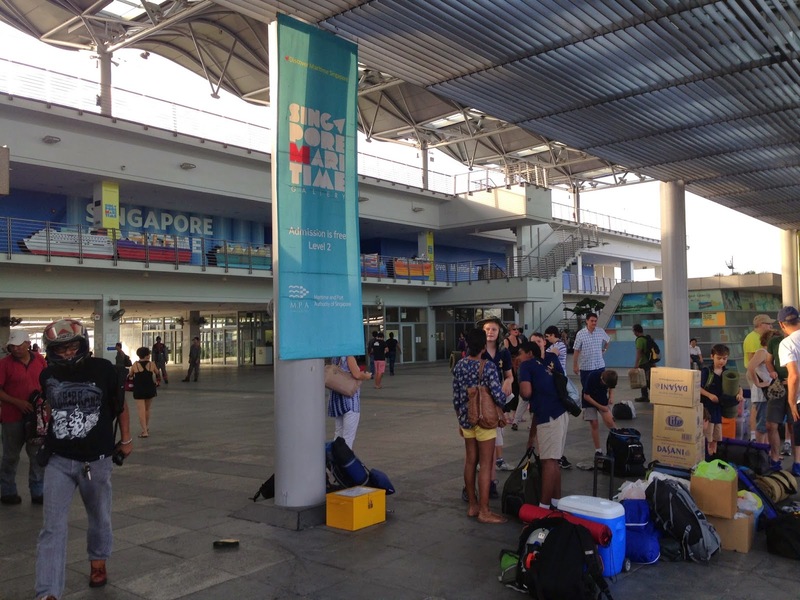 So we decided to swing by Marina Bay Cruise center while starting from our usual starting point at the Helix Bridge. 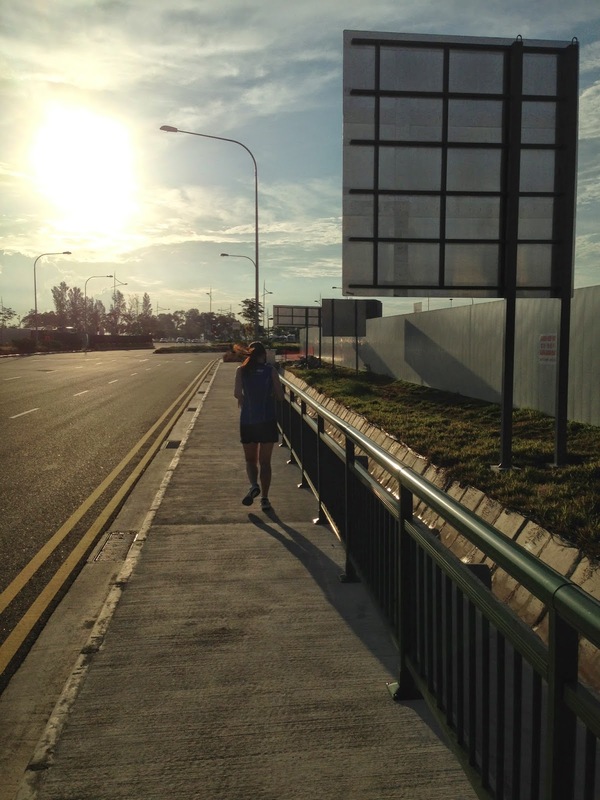 After cutting across Marina Bay Sands, we ran along Marina Boulevard, and the area is a stark contrast to the glistering build-up commercial towers to the north. Barren, hot and weedy. It feels a bit like the desert of Vegas between you drive into the Sin City of US. 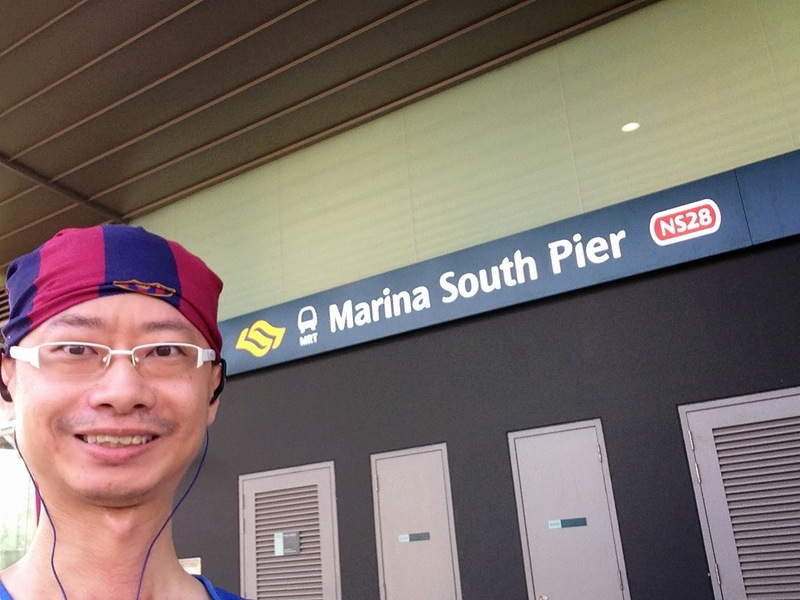 The Marina South Pier is officially opened on 23rd November 2014 and will link the Marina South Pier and the Marina Bay Cruise Center with the public transport system of Singapore. 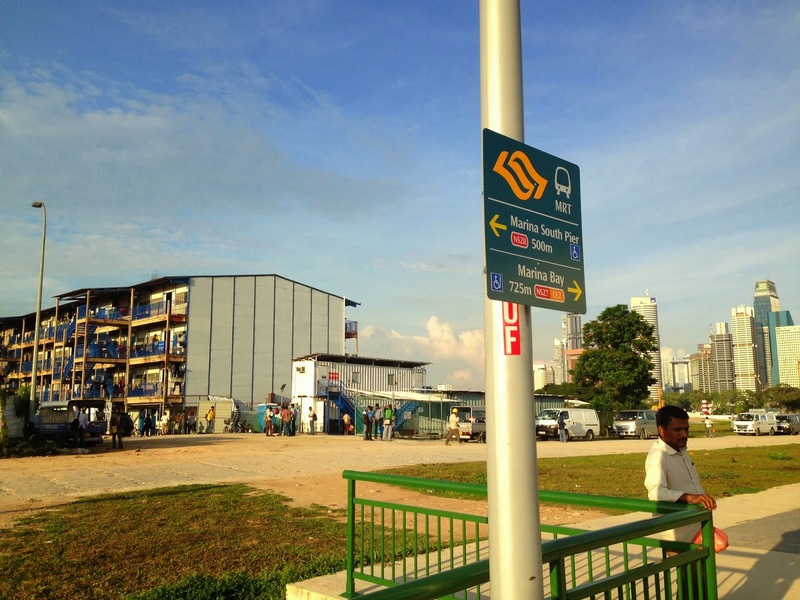 I don’t recall seeing a bus stop around the area, so I guess that is probably the only way to get to the pier by public transport if you do not want to take a taxi. 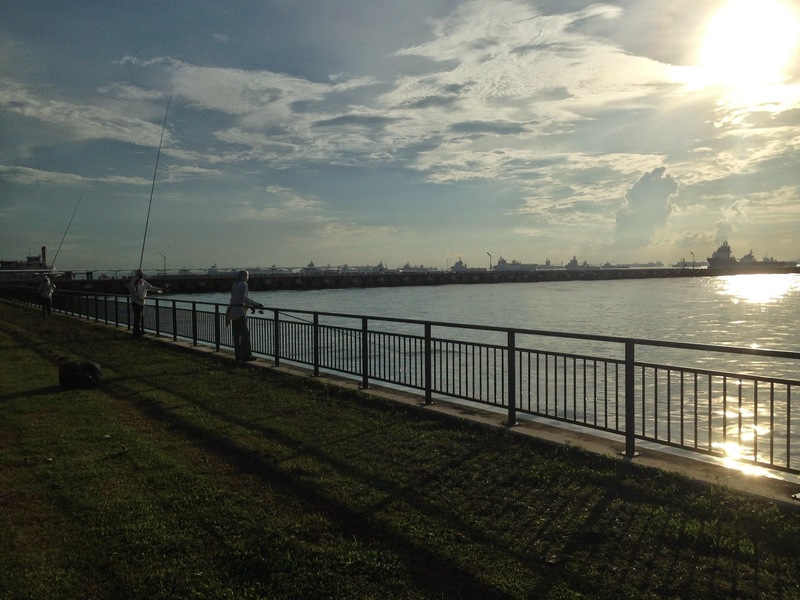 The Marina South Pier is the gateway to Singapore’s southern islands such as Kusu Island and St John Island. 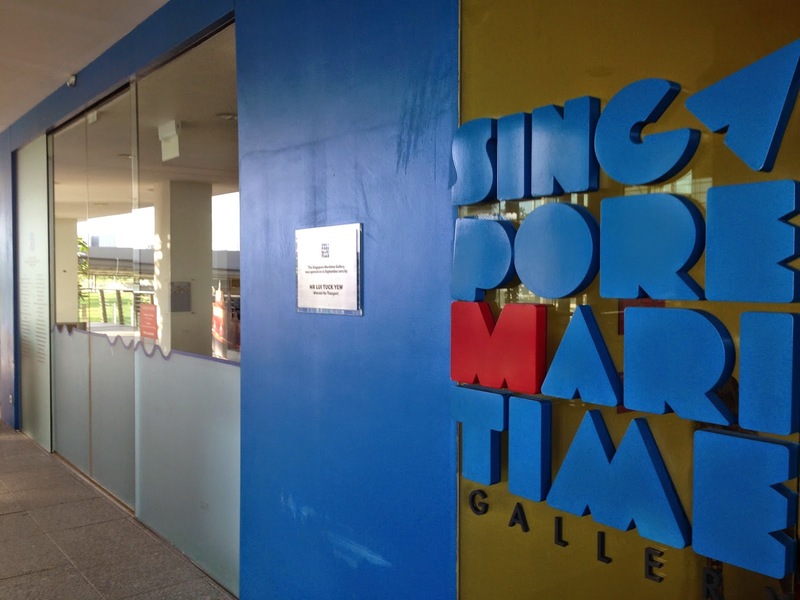 The Singapore Maritime Gallery is also located at the Marina South Pier. 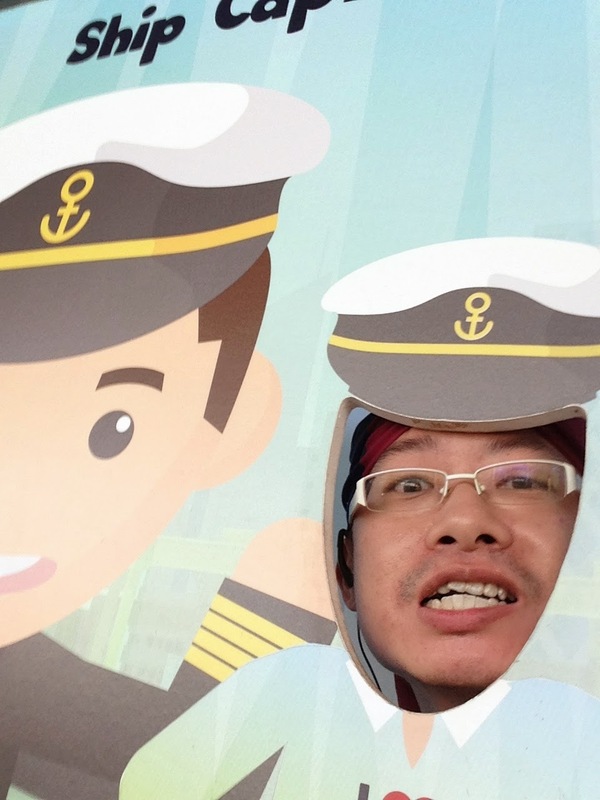 The Singapore Maritime Gallery showcases Singapore’s maritime history and how a sleepy fishing port transforms itself into one of the busiest and most important trading port in the world. 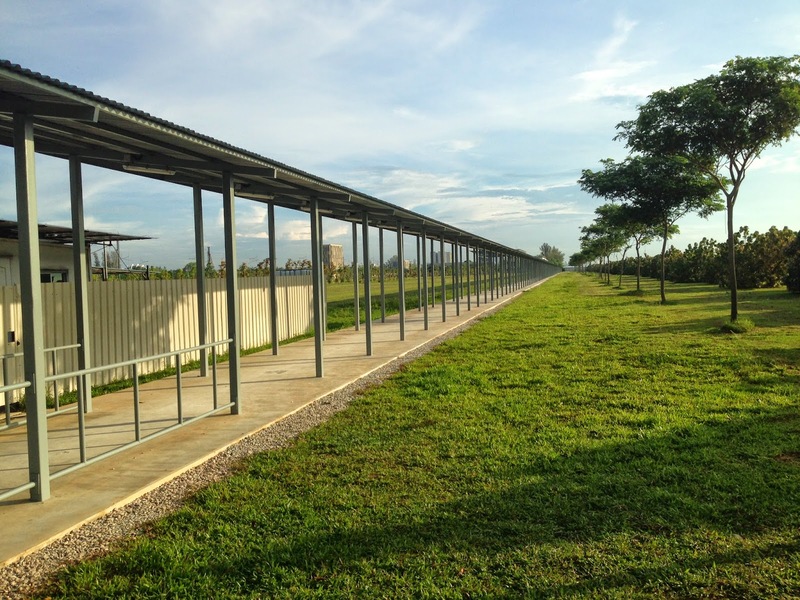 Right next to the Marina South Pier, we see a long, straight, 600 meters long covered walkway, stretching as far as the eye can see. 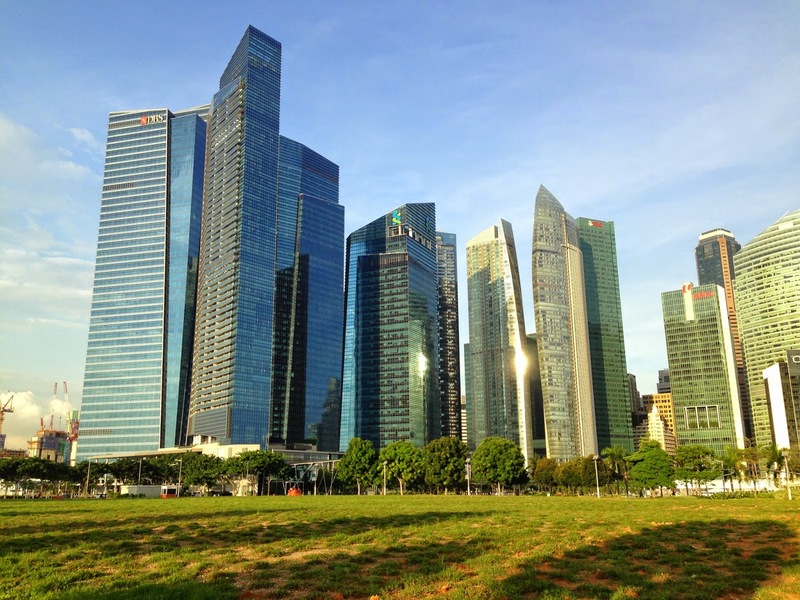 The sight of such a architectural feat should be promoted as one of the achievement of Singapore and should be showcase as one of the “Must Take Picture” sight in Singapore. I should swing by at night when all the walkway lamps are lighted up. Should be a spooky sight! I can’t see the end!! Is this part of the Tick Eye Museum exhibit?? 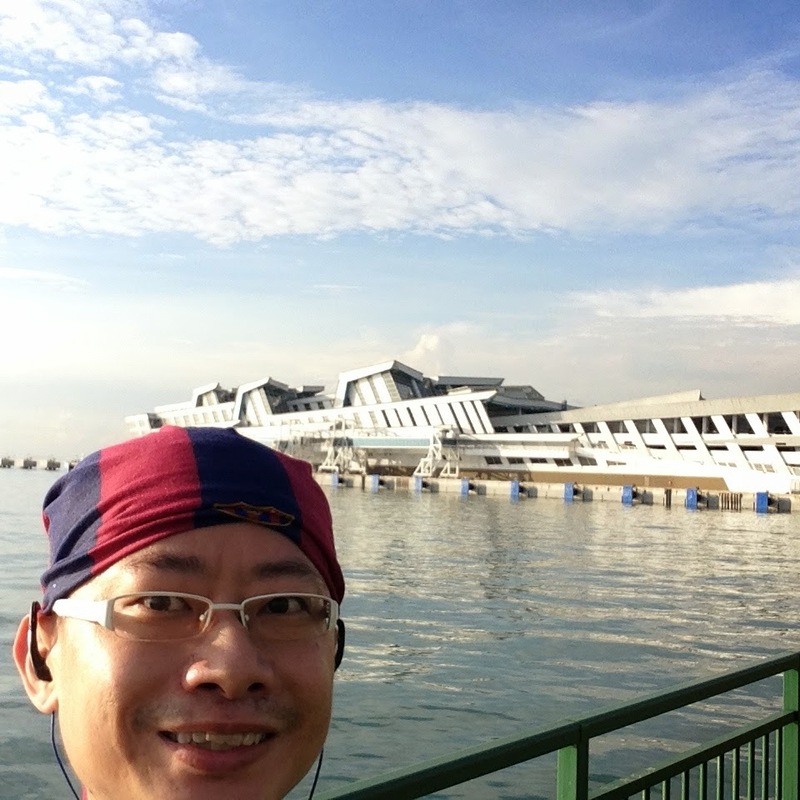 After an exhausting run (imagine hauling luggage for 600 meters in hot humid Singapore to take a luxury cruise to no-where! 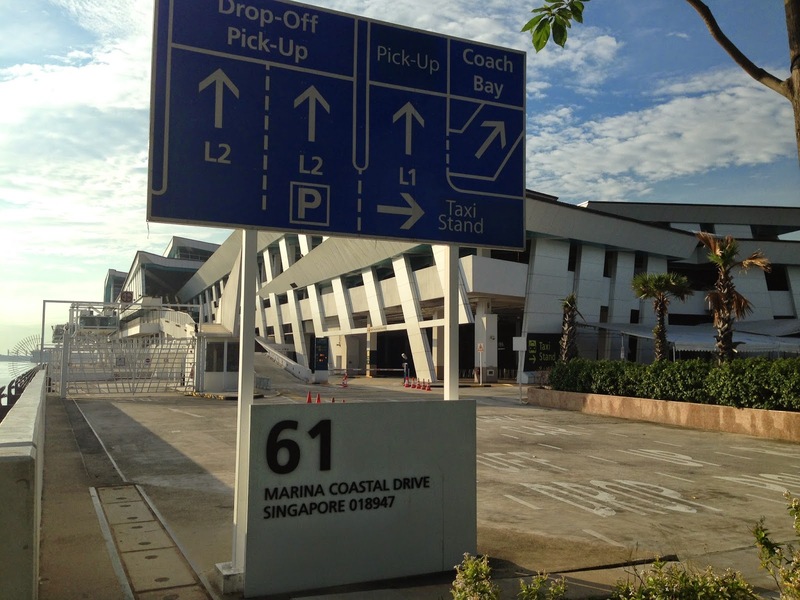 ), I reached the mostly desolated Marina Bay Cruise Center. The current cruise center at Harborfront, is at full capacity and it’s narrow waterways and more shallow waters make it unsuitable for mega cruisers to navigate and dock. Marina Bay Cruise Center with it’s naturally deep waters, is a more ideal docking ground. 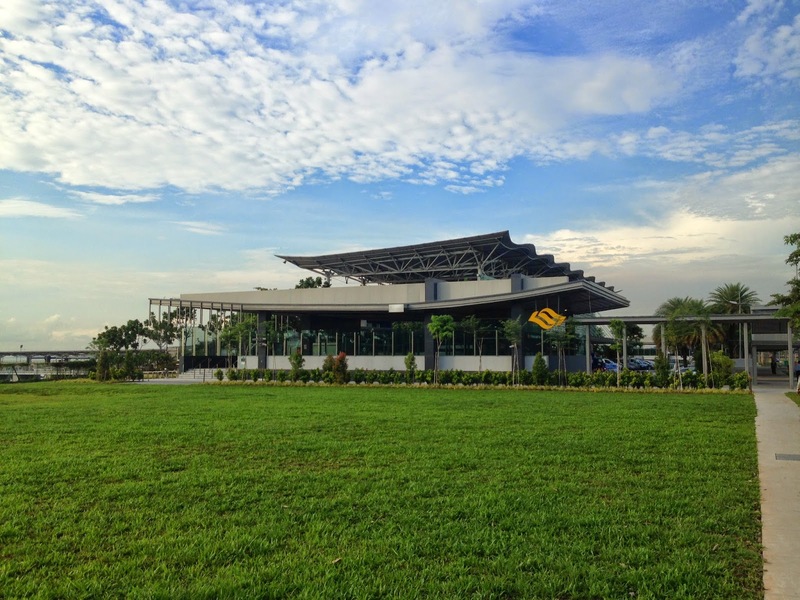 The cruise center looks like a futuristic battleship, which I believe if needed, can really stay afloat in case of a global disaster whereby Singapore is flooded and we need a Noah Ark equivalent. By the time I reached the cruise center, I feel a familiar throb on my knees again. I think I pushed myself too far today, especially in the hot morning sun when I dehydrate more rapidly and the chances of my ligament strain become higher. 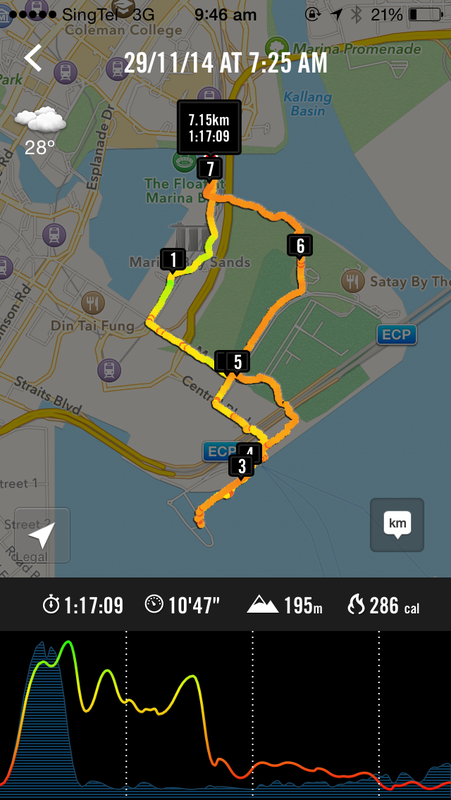 I had no choice but to start a 3.5KM walk back to the Helix bridge. Yes, I left my EZ link card in the car, just in case you are wondering why I didn’t take the MRT back to Promenade MRT. By 830am in the morning, the sun is already blistering hot and I am already panting with my tongue out like a overheated doggie. 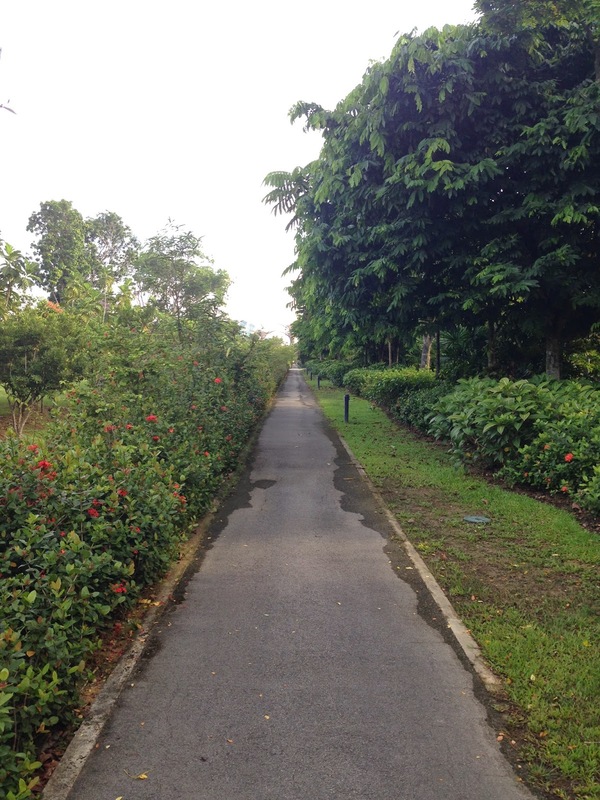 Halfway along Marina Boulevard, I spotted a small path that cuts through Garden by the Bay, which looks a lot cooler than the barren wasteland ahead. Oh well, let’s take the plunge, if it can get me some shade with all the leafy foliage around. In any case, Garden by the Bay is all fully decked up for Christmas, giving it a very festive atmosphere. I also notice thousands of LED and light bulbs screwed into all these Xmas installment, which I think, will make the already spectacular night lightnings at the Gardens even more Epic at night. Gardens should be one of the “Must Go” places for this Christmas, especially for dating couples. 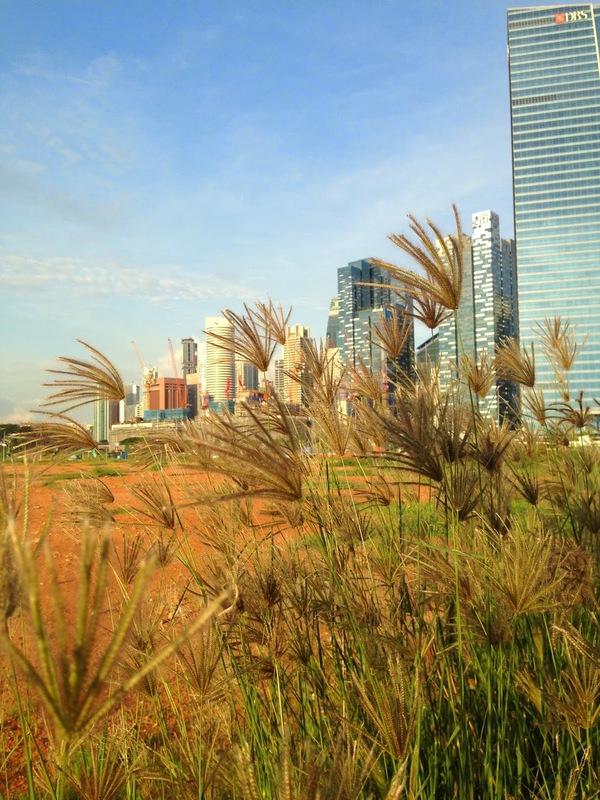 It has been a pleasurable walk through the Gardens by the Bay despite the pain in my knee. Oh well, I will probably swing by Gardens in one of the evenings with my DSLR camera. Meanwhile, Mcdonald breakfast at Marina Sq awaits. Ouch… My knee hurts …. 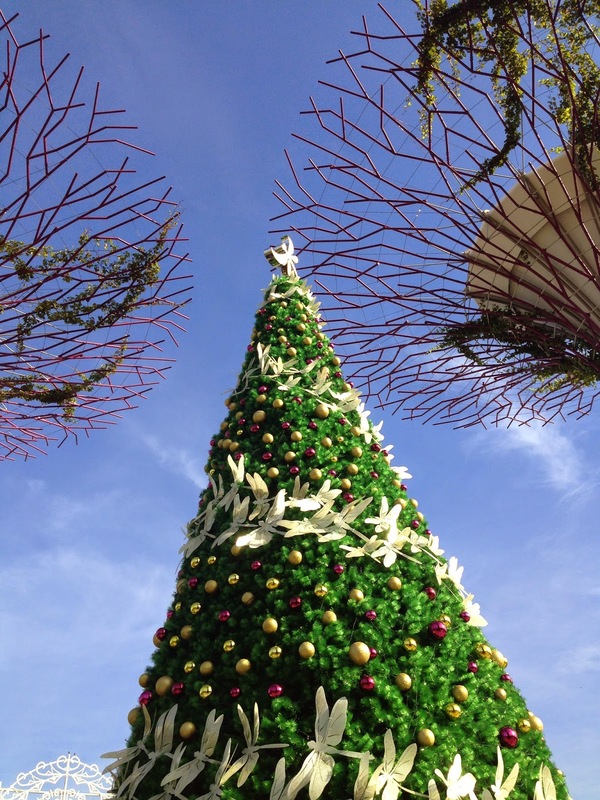 The beautiful Xmas structures at Gardens by the Bay.